The Sons Of Liberty - Who is Behind the Terror & Chaos? 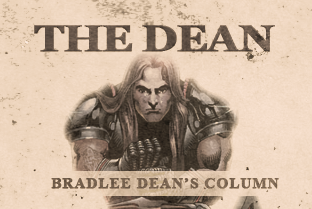 Home - The Dean-Who is Behind the Terror & Chaos? Recently, we saw a video from ISIS by which they wanted everyone to see how devilish and demented that they really are. They filmed and broadcasted a captured Jordanian pilot being burned alive. I took particular notice as to how the ISIS fighters had done such a good job shooting and editing the video, which was taken from different angles. I also took note of how well-scripted it was, as if they had some help from inside the movie industry. In addition, I am sure that everyone who has seen this video must have noticed the brand new uniforms these “terrorists” were wearing. I’m also sure everyone noticed their brand new weapons, metal cage and a huge front loader, too. These “terrorists” are apparently well-funded from the neighboring countries, in which they sell all of their rocks and sand. After all, we all know how rock and sand are in such high demand worldwide! Of course, I’m being sarcastic. I realize that these Islamists are making hundreds of millions through their takeover of Iraqi oil operations, cleaned out Iraqi banks in territories they have control of and have even been funded and trained by the U.S. government. However, I have to ask why the surrounding governments are not squashing these barbaric devils. Furthermore, why is our own government providing the means to empower them while asking us, those they serve, to relinquish our rights to more government control? America, your sin is finding you out (Numbers 32:23). This nation is being turned into hell because you have forgotten your God (Psalm 9:17). Are you going to submit to man’s fear only to be enslaved? Or will you obey and walk in the fear of the Lord (Proverbs 8:13), conquer and live free (Romans 8:37; 2 Corinthians 3:17)? Have You Learned from History?